“...it was while doing graduate work in English there (University of California Berkeley) that she did some student teaching. She used pop songs to teach her high school students about rhyme scheme and meter, as they were not poetry readers." 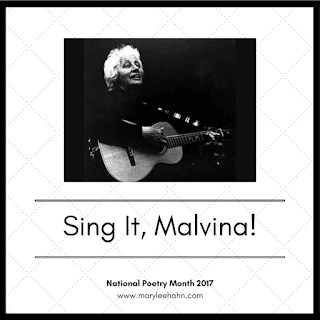 Malvina Reynolds would have been at Berkeley in the 1920's, and "Five Foot Two, Eyes of Blue" was a popular song then. Perhaps it was one she used to teach about rhyme scheme and meter. But could she love, could she woo! The temps are high, could she die? Could she, could she, could she die?